Putting on an event is a big task but it can be a lucrative move when it comes to growing your business. If you are considering starting a convention or wish to grow your trade show or event, you should contact the expo & trade show experts at Southeastern Convention Services. We have over two decades of experience in the event industry and that puts us in the unique position to give you all of the tools you need for success. With our consultation we can guide you through the entire process of event planning, from securing a location, space requirements and even marketing. We have worked on and observed so many conventions and trade shows that we know exactly what elements are necessary to put on a successful event. We pass that knowledge onto you with a truly valuable consultation, which is why we are the number one choice in Atlanta and surrounding areas for event consulting services. 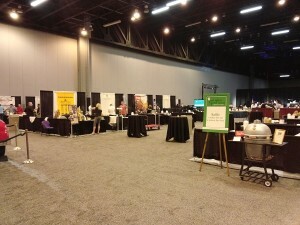 Aside from learning the proper steps to plan and grow a fantastic event, Southeastern Convention Services also has everything you need to setup for the perfect expo. We provide all of the necessary furnishings, from pipe and drape, stanchions, tables, chairs and carpeting. We have a dedicated staff that will quickly and efficiently set everything up to your specifications. If you are an industry representative and would like to put on a trade show, want to start a convention or just grow your expo, set yourself up for success with consultation from the trade show experts at Southeastern Convention Services. If you are looking for an Atlanta area event consultingspecialist, please call 770-713-6261 or complete our online request form.